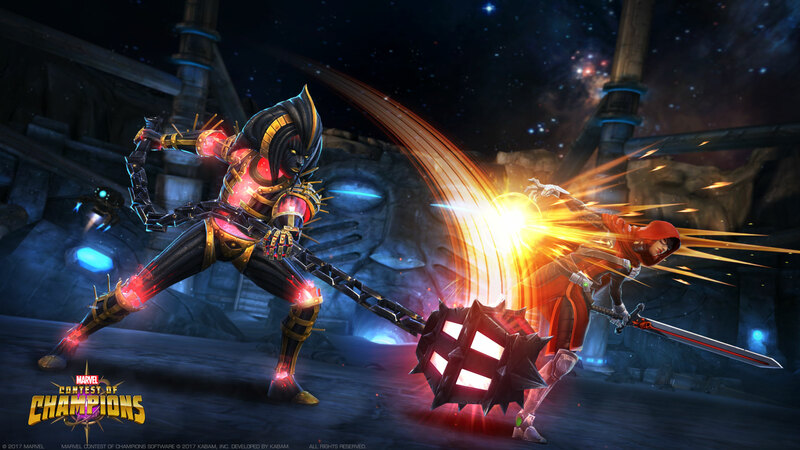 Kabam made their fourth annual appearance at New York Comic-Con this year and brought along some brand new goodies for their free-to-play mobile fighting game Marvel Contest of Champions. This year’s special treat was the reveal of Morningstar, an original Marvel character created especially for the game. In addition to being the first to try out Morningstar, comic con attendees were also able to try out Marvel’s classic hero, Blade, before their in-game debuts later this month. 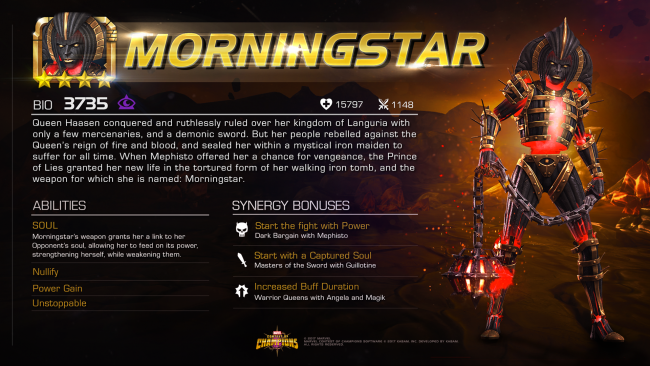 Morningstar is an all-new original Marvel character debuting in Marvel Contest of Champions. She started out as a bloodthirsty and tyrannical queen at the turn of the 10th century who was overthrown and imprisoned in a specially-built “iron maiden” torture device made to trap the soul of the tortured beyond death. After many years, she has been given the chance for revenge by Mephisto, Lord of Lies, and her iron maiden prison has been transformed into golem-like armor as she wanders the land in search of her infamous demon sword – La Fleur du Mal – currently in the possession of Guillotine, another Marvel character that debuted in Marvel Contest of Champions.